The earliest settlements in Bormio date back to prehistoric times: prior to the Roman conquest the area was inhabited by Rhaetians and Celts. Thanks to its strategic position at a crossroads on one of the main routes connecting northern Italy whit the transalpine regions (the Via Imperiale d’Alemagna), it was already being fought over in the 10 th century by various potentates, passing from one ruling power to the next (the bishops of Cosmo and Chur, the Visconti and Sforza families, France and Spain), although it maintained its municipal independence thanks to a 14 th – century statute that gave its residents special rights and privileges and helped it become a flourishing commercial centre. 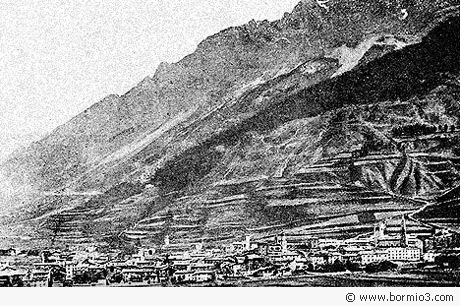 In 1797 Bormio lost its autonomy when it became part of the Cisalpine Republic, and then the Kingdom of Italy. Trade was revitalised in the early 19 th century of the Stelvio military road, and the opening of the spa in the early 20 th century marked the beginning of the tourism era. This is how Leonardo da Vinci, who probably visited Bormio in the late 1400s, described the area in his codices.